Experienced Former Social Security Judge D. Kevin Dugan from the Dugan Disability Law Firm is now representing clients who have been denied Social Security disability. 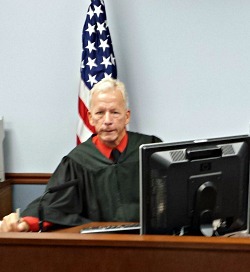 Plantation, Florida (August 3, 2013) — After 20+ years of service as a social security disability Judge, Kevin Dugan has now decided to represent clients who will appeal a denial of their social security claim. Having decided near 10,000 cases, he knows what a good case requires. Kevin is also known for being an expert at courtroom presentations. The Social Security Administration (SSA) thus far does not have the necessary resources to do the job and they are constantly questioned by Congress about their large backlogs. Owing in part to the increase in aging population, more and more social security disability claims are being filed every year. In the year 2000 alone one million disability claims were filed. Today the number of claims filed is over three million. People often wait years to get to see a Judge. Employees of the SSA have been complaining that the agency expected them to move cases without having given them adequate time needed to prepare for each case. The National Judges Association filed a lawsuit against the agency because they believe that the push to move cases has harmed their ability to decide cases in a fair manner. Under such circumstances, the claim may be handled by a lot of people who have never seen the claimant, pushing the claim forward and out the door without any appreciation of what a particular claimant is facing. Many individuals who deserve social security disability benefits are denied when they first apply. But individuals who appeal with an accomplished and experienced disability lawyer are more likely to succeed at the hearing level. 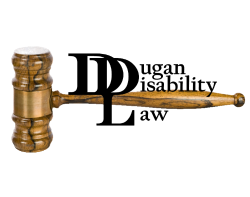 As case loads are heavy, disability judges find it critical for cases to be presented in a coherent and persuasive manner. Dugan Disability Law is a law firm based in Plantation, Florida. Kevin, a graduate of Georgetown Law School is a member of the D.C. Bar. Former Judge Dugan worked to reform the Disability System with the Commissioner of Social Security, the Social Security Advisory Board and Congress. He has been a speaker for various claimant organizations like the National Organization of Social Security Claims Representatives. Posted in Disability Lawyer and tagged disability lawyer, dugan disability law, Florida social security disability advocate, Kevin Dugan, social security disability benefits. I want to write a big thank you for all the hard work that Mr. Kevin Dugan put into my case. I really appreciate the time and effort he spent on my case. Kevin was on top of everything and very thorough. I am happy that I was represented by Kevin. 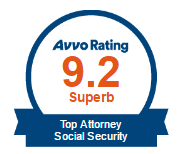 I couldn’t have asked for a more compassionate, efficient, and professional attorney. Kevin was there every step of the way during my case. He explained my options with clarity, answered all of my questions in an expedient manner, and always kept me abreast of the entire process. His professionalism helped me during this difficult time. I sincerely appreciate the support I had from Kevin and from the staff at Dugan Law. – Kevin and his staff are amazing, and I will be forever grateful! May God Bless Kevin, his family, and Dugan Law staff.